The US tall ship ‘Roseway’ arrived in Havana harbor on Tuesday, October 25, 2016 carrying 22 US high school students for a semester-at-sea program. 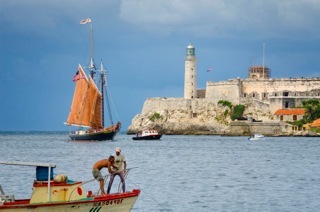 ROSEWAY entering Havana Harbor, with Morro Castle in the background. Cuban nationals joined photo crews from BBC, Reuters, NBC, AP, and local media along the Malecon as she sailed majestically into Old Havana. 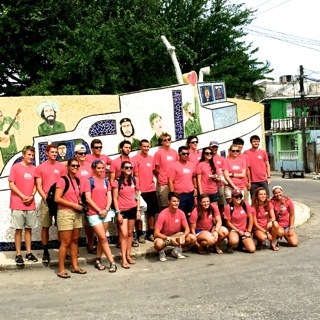 Proctor Academy students in front of a depiction of Fidel’s boat, Granma, by the famous ceramics artist, Jose Fuster. 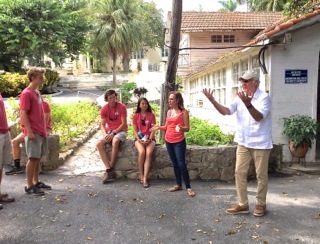 Students gather in front of Hemingway’s guesthouse for Michael Connor’s tour of the author’s house, Finca Vigia. As part of our people-to-people program, we donated 100 graduation gowns and caps to a local seminary. 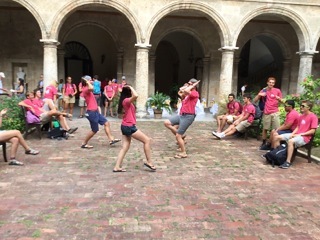 Before the Father arrived, the students got “jiggy” to a local Cuban street band playing, of course, Guantanamera. 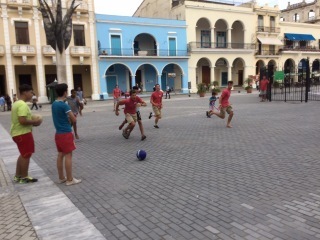 Maybe one of the coolest moments of the trip… not more than an hour after getting off ROSEWAY and entering into Old Havana for a walking tour, the Proctor Academy students picked up a completely spontaneous soccer game with local Cuban youth in Plaza Vieja. Truly a magical moment. 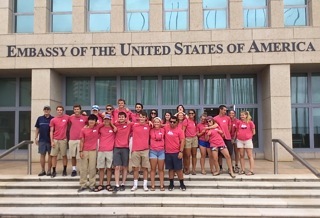 The students visited ISA, the University of Arts of Cuba, and met with young art students there. 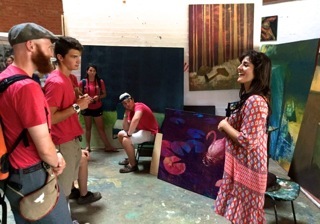 Ketty Rodriguez, a senior at ISA, talked to the students and gave a talk about her art. 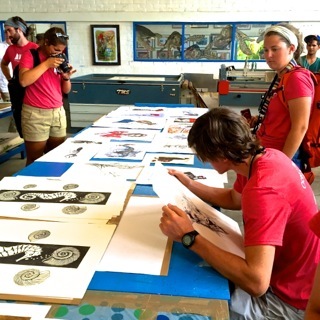 Prior to their trip to ISA, the students had visited the studio and compound of Kcho, Cuba’s most famous and internationally recognized contemporary artist. The students were welcomed by the U.S. Embassy, who invited them to a 40-minute talk about current events. The Embassy personnel wanted, and obtained, the students’ own comments and reactions to include in their social media. It was a red-letter day at the Embassy as that very morning the U.S. Ambassador to the UN, Samantha Power, announced that the U.S. would abstain on the U.N. vote condemning the Cuba embargo for the first time in 25 years. A fortuitously-timed visit for a historic moment these students shared in.